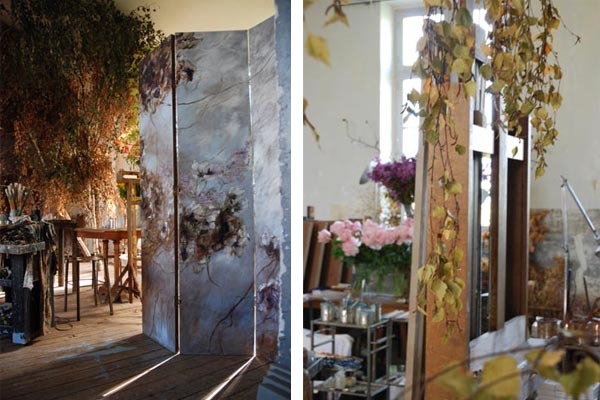 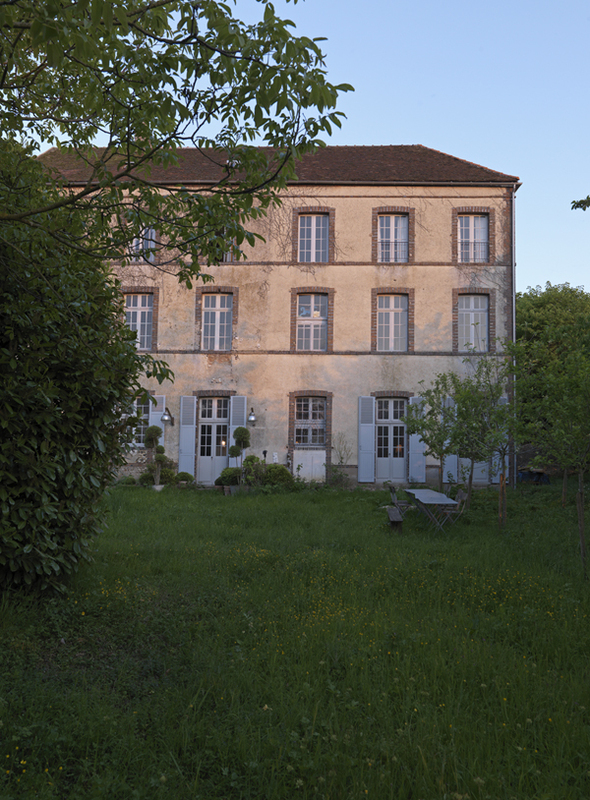 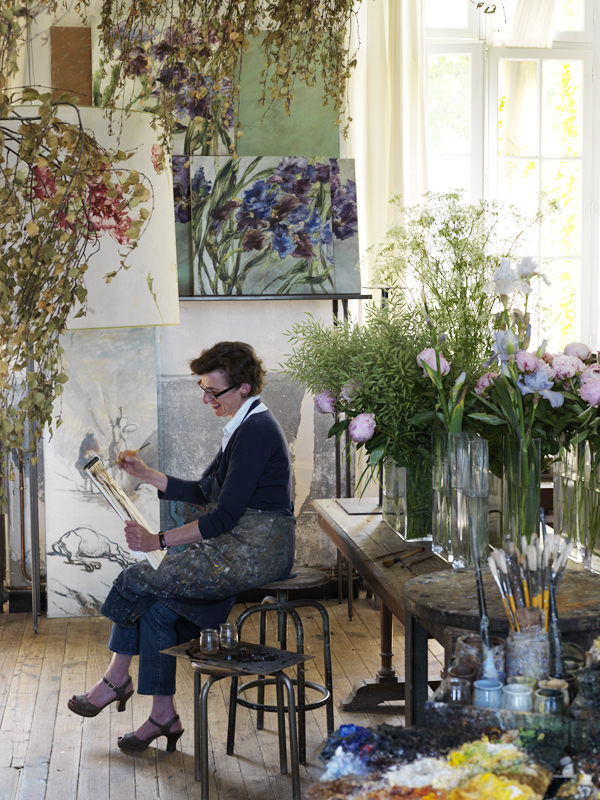 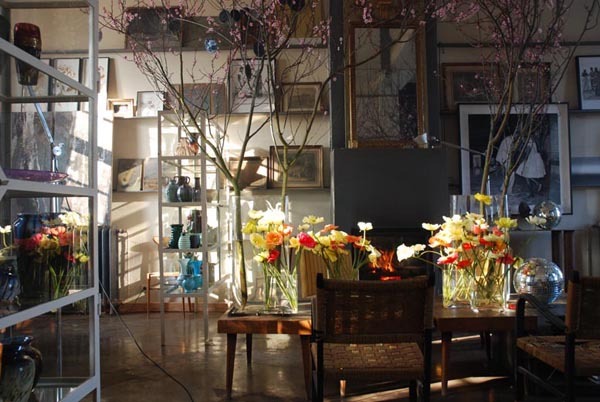 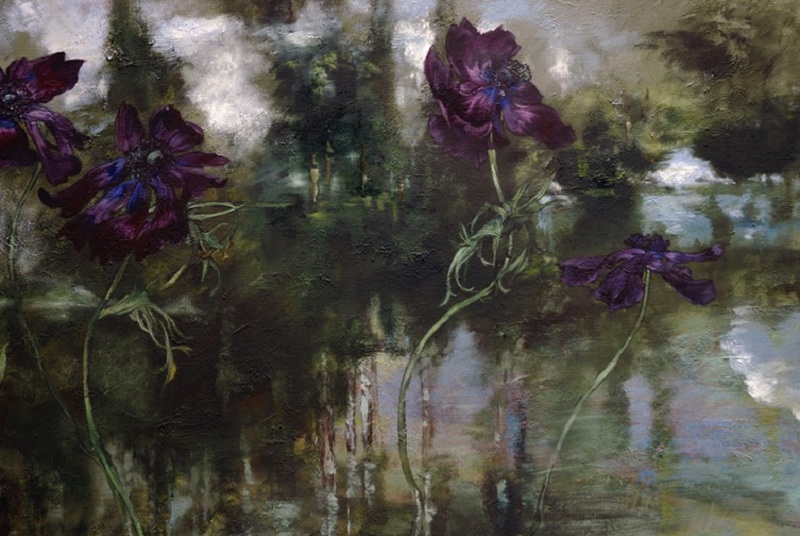 French floral artist Claire Basler’s home and studio in Les Ormes, and hour an a half from Paris, is filled the nature. 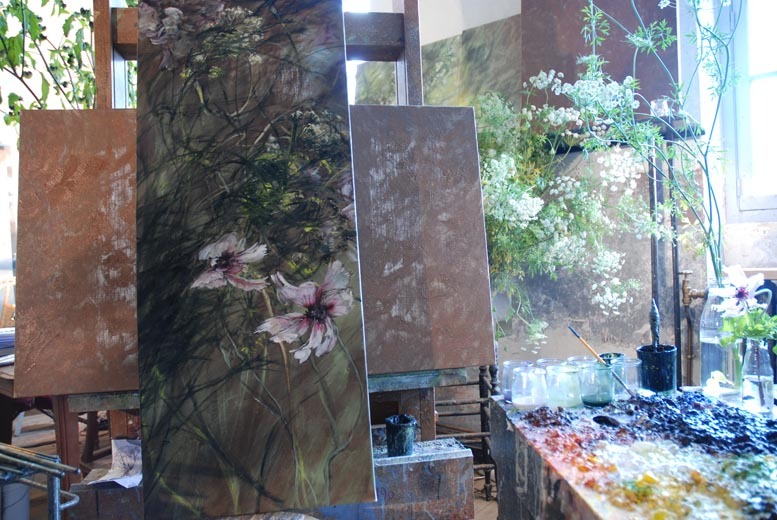 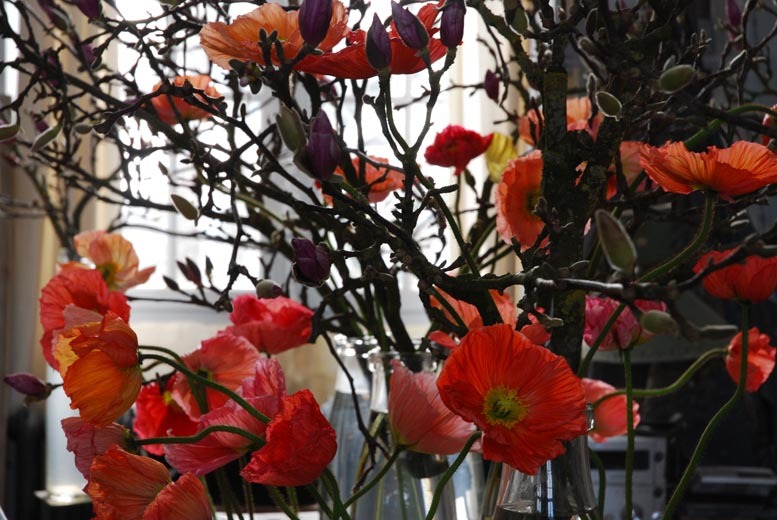 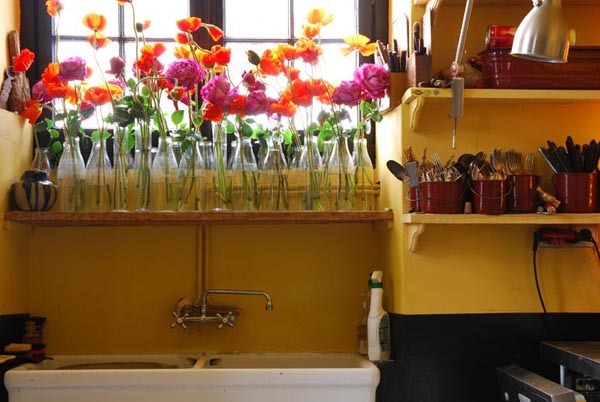 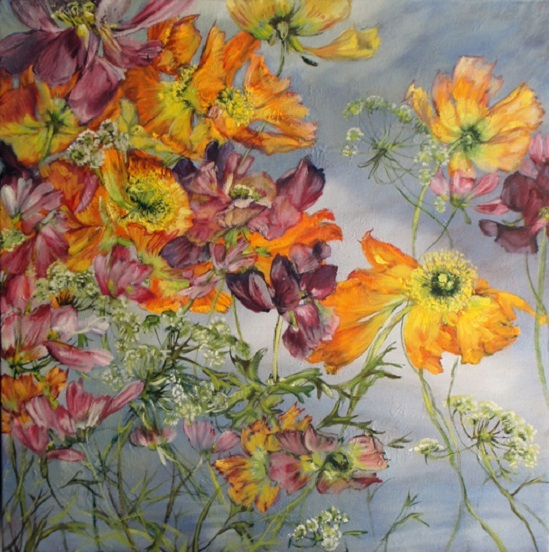 There is a constant flow of fresh floral displays which inspire her paintings, drawings and textile designs, all of which also blanket the property. 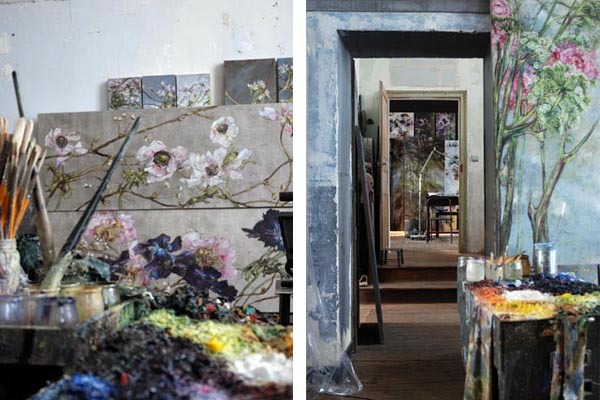 Photographs one and two by Mads Mogensen for Elle Decor South Africa, photographs three to eight and all artworks by Claire Basler.